Where is the best place to find a car lift for sale? Are some websites more reliable than others? Will the manufacturer's warranty follow suit no matter where you buy? Is the seller of a used car lift trustworthy? Is brand name recognition worth paying a little more for? Some of these questions come down to personal preference. This guide will help point you to places you can look for lifts and show you how to spot a good deal vs. a bad investment. BendPak lifts tend to cost a little more than the cheap-o brands, but our scale of production and streamlined logistics let us price well below lifts that also offer similar safety options and certifications. In other words we're the best in the business, and our prices aren't just competitive—they're unbeatable . Shopping online can be a great way to compare BendPak lifts and other lifts, but it can also be overwhelming. If you don't want to do all your own research, or you're short on time, look at as many distributor flyers as you can get your hands on. And if you know what brands you're interested, go to their website(s) and give them a call. By signing up to any number of automotive distributor mail or email lists, you can have product flyers delivered right to your door. Since numerous companies will be featured, the flyer tends to show a limited number of products per company. However, every car lift for sale in a flyer has been carefully selected by the manufacturer, and models tend to represent new, best-selling and/or most certified lifts. Distributors run specials at different times, so it's wise to keep an eye on them for a good deal, especially if you're a high-volume buyer. 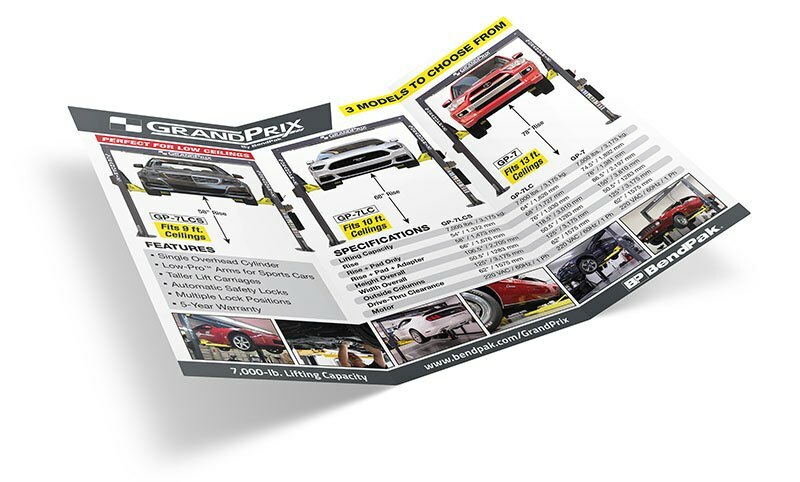 BendPak is featured in most major automotive flyers, so if we're not in the one you're looking at, you might want to think twice about that distributor. They might be peddling rebranded, hobby-quality products under their own name. When you search for a lift on Ebay, you're going to notice lower prices right away. This happens because some of the products you see are used car lifts, while some prices are deceptively low because the seller wants to lure you in before tacking on extra shipping fees and/or other hidden costs. Generally speaking, open-box units sold by reputable manufacturers are as safe to install and operate as new lifts. Always do your own research before committing to an auction site like Ebay, especially if you're exploring a used quality car lift for sale. Some sellers are actually just individuals, not companies. There's no way to gauge quality control with these sellers, so that "low, low" price they offer comes less the trustworthiness of an established company. You might have to do your own inspecting and investigating into the seller's background, or else get a professional ALI/ETL member to inspect the lift at the seller's (or your own) expense. Here's our advice: look for professionalism at all times. If you're not convinced that your auctioneer is as reputable as BendPak, you're probably wasting your time and taking a needless risk. Once you know which brand(s) you're interested in, it's time to look at their websites. This will give you a chance to see which companies are still relevant, modern, responsive to customer inquiries, etc. See what you're getting before committing to the lowest price. 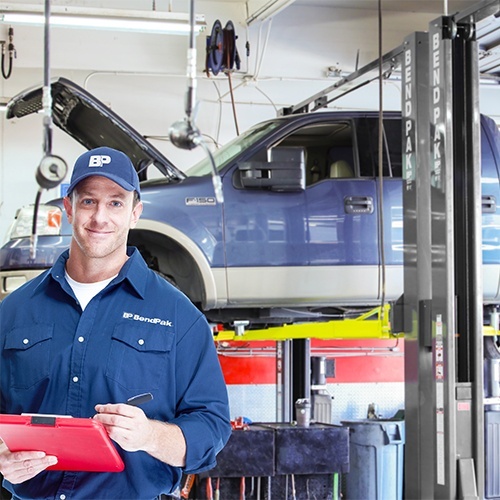 Warranty, product quality, third-party certification, backup safety features, company reputation and longevity of the lift's components should all be taken into consideration. Not every company will list the price of a given car lift for sale, but they'll certainly have that information available if you contact them direct. Final thought: only buy from a reputable company. BendPak has been around for over 50 years, so we know how to treat our customers and do right by you price-wise, quality wise and everything-else-wise too. When you're ready to buy, let us show you what makes BendPak the world's best lift manufacturer.